"Wonderful Tool, iOS app is severely outdated "
Great for seeing all my restaurants data in one place. Love the ability to pull item sales from specific periods of time, so I can see what sells and what doesn’t. The iPhone app, not the iPad app, needs updating, it generally feels outdated and old. It is also somewhat had to use the website version because many of the filters get cut off from the wide control panel. I can really see how holiday weeks effect sales and item changes. "Avero makes work communication a cinch!" I like best that Avero allows me easier navigation to data not as easily accessible in the restaurant management software used exclusively by my company. I dislike the process of registering to use the site as an employee. My superior had to reregister my information multiple time as we attempted unsuccessfully to enter using the temporary login information provided. Allows more immediate and direct communication with my superiors using informed data populated from restaurant information. For me, it's a place to voice all needs. For my boss, it's more organized than a million emails and texts from each of the leads. Real time access to restaurant data and checks from phone or computer. Check search from phone app has limited filter options compared to computer. Download the iPhone app for easy use while both in and out of the restaurant. I can access restaurant data anytime & anywhere. Live checks and orders, compare financial reporting across weeks, months, and years. Determine which items are being ordered more or least frequently. Which servers are using which comps and voids. The insight and depth that it gives you on the customer. I can literally know anything about the customer by searching it on avero. That it does not give me real time numbers. I have to wait until the next day. 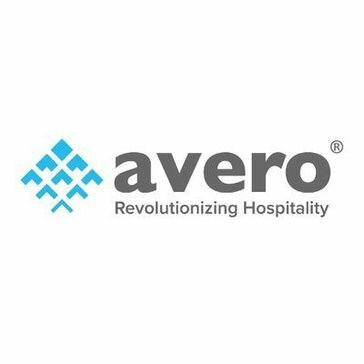 In the hospitality world, Avero is a must to better understand your customer. On the marketing standpoint it helps me realize what promotions are working and what times I can help push the most. Also it lets me know what is selling and what is not. The depth and detail of analytics provided for our food & beverage sales. Can drill down extensively. Nothing. This product is near perfection. Allows out F&B outlets to analyze sales and figure out what/who sells the best/worst. "Reliable and User friendly interface"
Super easy to run reports, review data and track trends. There is nothing I disklike about this product. Data drill-down to individual receipts is helpful in customer satisfaction and credit card charge disputes. * We monitor all Avero Slingshot reviews to prevent fraudulent reviews and keep review quality high. We do not post reviews by company employees or direct competitors. Validated reviews require the user to submit a screenshot of the product containing their user ID, in order to verify a user is an actual user of the product. Hi there! Are you looking to implement a solution like Avero Slingshot?